Welcome to the OSSB Winter podcast. 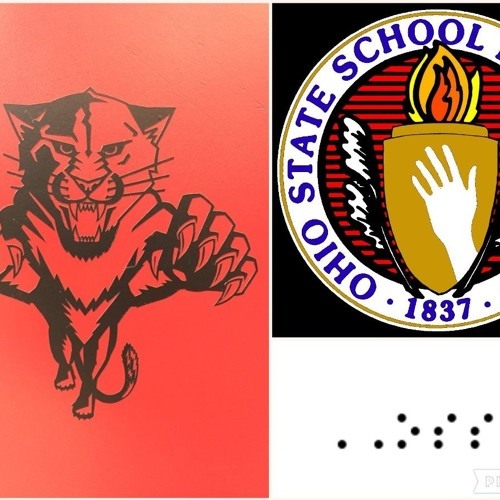 Our team has been working hard to bring you the latest from the Ohio School for the Blind. This month Andre and Latrell will showcase performances of our students from the fall recital. Students in Mr. Kelley’s Mrs. Picard’s and Mrs. Swartwout’s classes will share their experience sampling some French cuisine, because France was the country of the month. Ms. Honse and her classes will share information with us about financial literacy and how to safely use an ATM machine. Perseus will tell us about the annual holiday party hosted by the Columbus Northern lions club. Some of our students had the opportunity to go to the Ocalicon conference and Andre will interview Andy Leach from Hims-Inc and talk about assistive technology for the visually impaired. Anka and Krazimir traveled to the United States from Romania and Bulgaria. While they were here, we talked with them about technology used for travel for people who are blind and visually impaired in Europe. Mr. Kelley got hungry one afternoon and revisited Hot-Diggety-Dog and Mrs. Z and her class gave us an update on how this new endeavor is really taking off. Our alumnus this month is our own Mrs. Wagner. Mrs. Brewer-Wood’s health classes focused on the importance of reading and listening to stories. Jason takes us to an elementary classroom and we will hear a sample of a short story. Andre speaks with Mr. Grim about goalball, graphics and the vending program at OSSB. And we make it to the gym where we listen in on what is happening with wrestling and cheerleading. Andre talks with Aujanee about cheerleading and we listen in on a wrestling practice with Mr. Kelley, Coach Heath and coach Lee and the panther wrestling team.